I can't believe the school is over.. I started a music review blog in wordpress, the main purpose is to review most JPOP/KPOP/CPOP music. It's pretty fun, since there are lots of people who review music in wordpress. I was sick, really sick during the AP exam time and missed two weeks of school. When I came back this week it is the week of FINALS already! Because I am still weak, working become difficult and overnight working to catch up works makes me weak again, but I will not miss any assignments. My schedule have been extremely tight, tonight as I am writing this entry. -I have to read 1984 and write responses and make my own questions. -I have to also read Tale of Two Cities by tonight and take exam. -One +700 words in depth essay on Frankenstein and Edward Sissorhands. -30 pages of AP European History readings. There is just soo much going on, I feel so tired and mad at myself for being sick. I did not get the summer program offer, so I decide to spend my summer working and preparing for SAT II and maybe retake ACT. And next Tuesday will always come no matter what, so my temporarily suffering will end very soon. I will update after Tuesday! And I will post graphics again. I was going to do Link Crew in my senior year, but I was sick today and didn't turn in my application. I emailed the teacher, and he said the deadline is today and I cannot turn it in on Monday. I had a week to turn it in, so why didn't I? I was hesitating because I don't have much confidence on guiding the Freshman. But now I'm utterly regretted....I could've turn it in yesterday!!!! Its just like my father said, "once you missed a chance, its gone forever." Plus I broke my expensive V-MODA earbud, now I have to buy a new one.. I'm not a pink person, as a girl I really prefer white or purple or blue, but for some reason I keep making those pink-ish things! I really need to post some decorations...I've been slacking off, hating to organize my works.. I was going to post a template-edit tutorial, but I think lots of people like what they got already...and they will get confused by my crappy explanations - -. Have you guys noticed "recommendation" section on the left corner of my blog? Yep I decide to do a weekly or monthly recommendation of my favorite music~ This time I reviewed Hikaru Utada's "EXODUS'04" because I was listening to it while writing the template codes! I really love all of her songs... Like I said the download link is provided, 100% free of virus, but its just for you to review not to own. Delete them within 24 hours and download from ITUNES if you like it! I guess I mentioned several times already that I am a big fan of Jpop diva Hikaru Utada. And this weird thing occurs to me today! You know how celebrities always does endorsements for clothing lines, jewelries, or makeup and cetra? I did not understand that concept, because I don't know how a celeb will affect your choice on shopping. I really love Hikaru Utada's Heart Station PV, it looks so dreamy and cool. And the most important thing...I truly adore her headset!!!!!!! It looks so crisp, especially with her short hairdo and her white outfit. And after some googling... I found the brand of the headset! 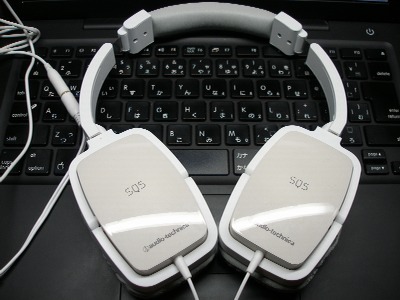 It is famous for its stylish design and you can turn the earphone 90 degrees. So I'm just absolutely in love with this headset and want to buy it! Even though the ratings are pretty average and Utada herself also states that she only bought this headset for its appearance..
And I also found her headset in Prisoner of love MV! Ahhhh...I don't know which one to choose! 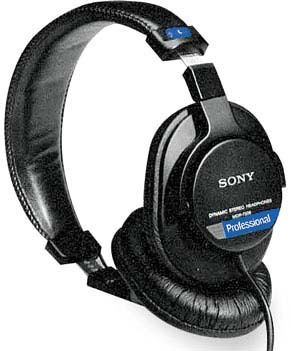 Why can't I get the look of the white headset and the quality of the Sony one?? I really want to cut my hair lately, its been such a pain. My hair grow very very slow, and I'm trying to grow it long too see how I look...because I never had long hair before.. its coming to my chest now. and imagine myself having short hair and wear the white headset.. I want to have the things my favorite idol has!